Graduation Dinner Plates | Choose YOUR Color! 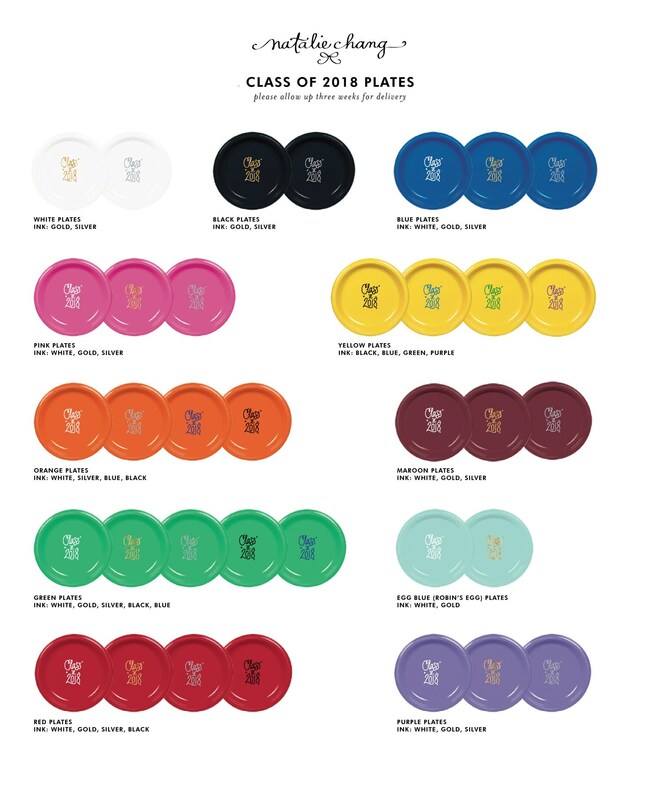 "Class of 2019" Plates for your Party … in any color! 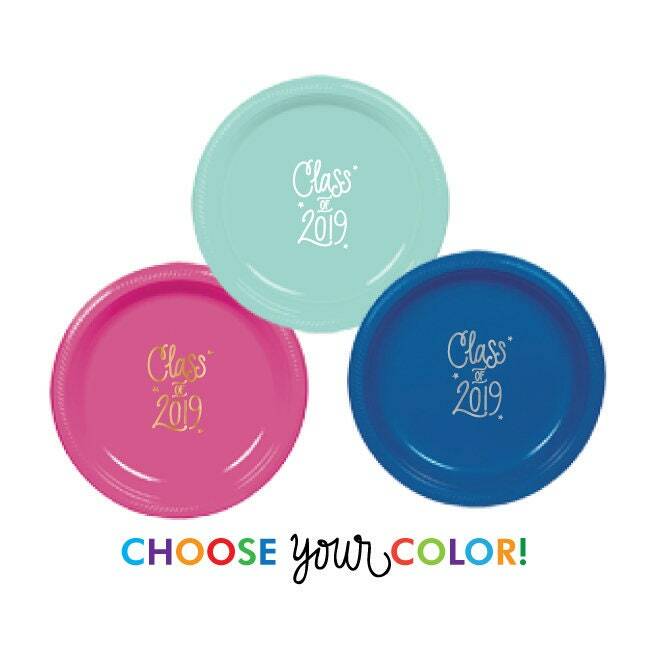 Colorful Plastic Plates with "Class of 2019" handlettered - then screen printed in white, metallic silver, metallic gold ink or colored ink! 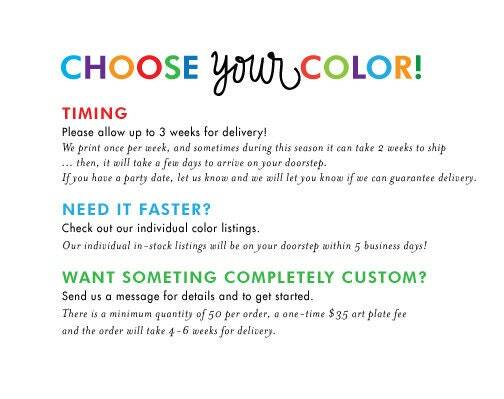 Plates: Choose from the colors listed & see pictures. Ink Color: White, Metallic Silver, Metallic Ink - or colored ink specified! These are all custom printed - Please allow three weeks for delivery.